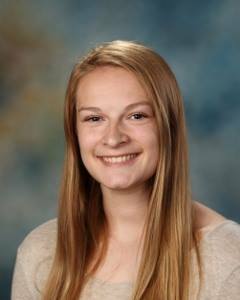 SCA Senior Sophie Schooley won the SCA Poetry out Loud competition and will participate in the Kansas City South Regional Competition. Summit Christian Academy (SCA) Senior Sophie Schooley recently won the SCA Poetry Out Loud competition for the third year in a row. Sophie will participate in the Kansas City South Regional Competition, where she will compete for a spot in the state competition. Poetry Out Loud is an organization that encourages the nation’s youth to learn about great poetry through memorization and recitation. Runners up were freshman Kaitlyn Gregg, sophomore Mackenzie Madsen, and senior Arianna Harris.